Summer is finally here, and so are the scorching hot temperatures in Atlanta. The summer temps can be potentially life-threatening to everyone, including your dog. Despite the possible negative factors, dogs can live and healthy & happy life in the heat with proper precautions. Bark ATL’s cage-free dog boarding facility will be sharing a few methods that you can use to keep your dog cool this summer. As we all know, summer temperatures can be some of the highest. In order to prevent your dog from having a heat stroke, we highly recommend monitoring the body language of your dog. Most of the time your dog will show signs that they are in distress. These are the following signs to recognize when your dog is overheating; heavy panting, heavy drooling, trouble breathing, rapid heartbeat, dark or red gums & tongue, agitation, dizziness, and weakness. Believe it or not, keeping your dog properly groomed can help them keep cool in the summer. Dog’s have a natural cooling system within their undercoat. If their undercoat isn’t properly taken care of it will become matted and decrease the flow of air reaching your dog’s skin. 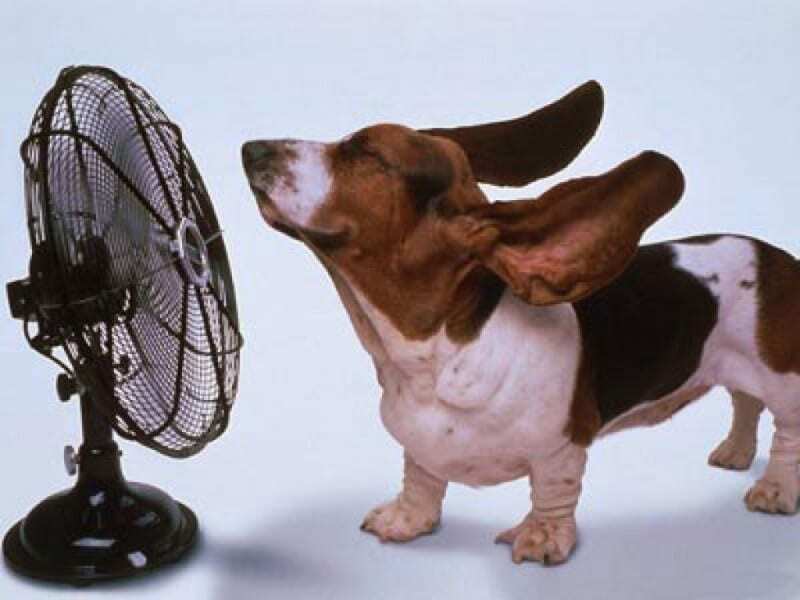 Keeping your house cool in the summer will also help your dog stay cool. You may want to save money on the A/C this summer, but if you have a live-in dog that may be hard to do. We highly recommend keeping the air on all day and making sure blinds and drapes are closed as well. Keeping your dog outside all day isn’t a good idea in hot temperatures. If you have an outside dog, we suggest making sure your dog has the proper shade and hydration. While they are outside you can give them an ice pack or cold towel to lay on to keep them cool also. Last but not least, if you plan on going inside a store for only 5 minutes never leave your dog inside of the car. Even in 85-degree weather, the inside of a car can reach up to 100+ degrees. If you can’t take your dog inside, leave them at home or only go places that will allow them inside.